I wanted to do something simple on the Saturday evening of our first weekend retreat here, as there were more fancy protein-packed meals planned for lunches. For the lovely and gluten-free Savitri buckwheat penne looked good. I was thinking something fresh to complement the umami taste of buckwheat, but also a creamy texture for full comfort food feeling. 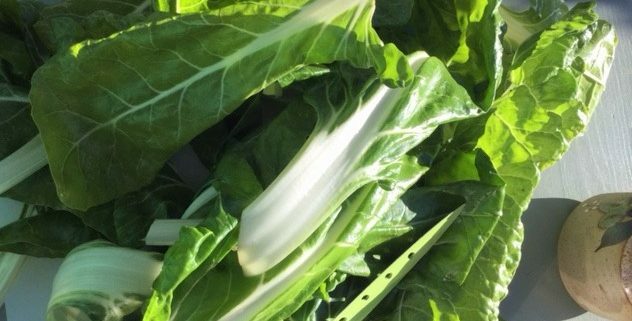 Maybe raw leaves, and on a visit to the Harvest Workers Co-op in nearby Okehampton I could not resist the chard. So fresh and full of prana! Chard pesto. When I first came to the area, I had a warm welcome at the shop (formerly Hilltown Organics, run by Sara and Martin) and a feeling of finding my tribe. What’s more, Martin showed me around the market garden and I marvelled at not only a no dig approach, but a no weed one too! The goodness in the produce, however, speaks for the integrity and care gone into production. And Sara, Sophie and Liv from the Co-op all come to Yoga classes!